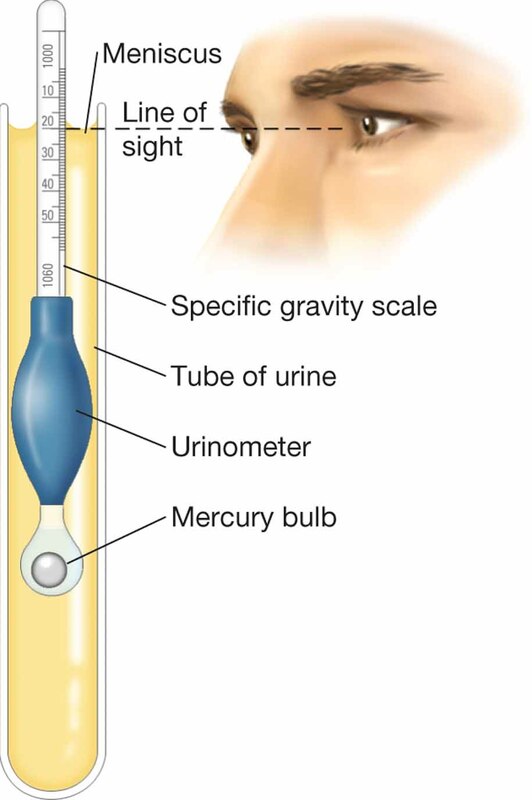 Urinometer. In this procedure, a urine sample and urinometer are placed within a tube, and the liquid level-is compared to the scale. The procedure provides information on the concentration of solids within a urine sample.